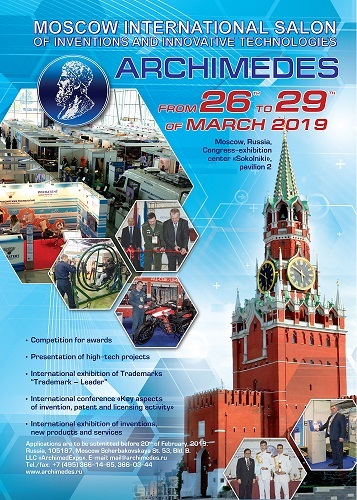 I invite you to participate in the XXII Moscow International Salon of Inventions and Innovative Technologies “Archimedes” which will take place from 26 to 29th of March 2019 in Moscow, pavilion 2 of congress exposition center “Sokolniki”! The main aims of Salon “Archimedes” are stimulation of inventive, patent-licensing and innovation activities; development of the market for the results of intellectual activity, assistance in promotion of new products and services. In 2018 Salon “Archimedes” gathered participants from more than 250 organisations, 26 countries and 55 regions of the Russian Federation. They successfully presented 700 inventions and innovative projects. Salon “Archimedes” is supported by World Intellectual Property Organization, Administration of the President of the Russian Federation, Rospatent, Ministry of Economic Development of the Russian Federation, International Federation of Inventors Associations, Chamber of Commerce and Industry of the Russian Federation, Ministry of Defense of the Russian Federation, Ministry of Science and Higher Education Russian Federation, Ministry of Education Russian Federation, Association “League of Support to the Defense Industry Enterprises”, Union of Machine-builders of Russia, Moscow City Organisation “VOIR”. All exhibits presented at the Salon will be selected and evaluated by Expert commission and International Jury and the best ones will be acknowledged with gold, silver and bronze medals, special prizes and awards from our Russian and international partners. Best inventions and innovative projects will be awarded with the Grand Prix – Gold Archimedes cup. Salon “Archimedes” is the perfect starting ground to enter the market of new breakthrough inventions and technologies. 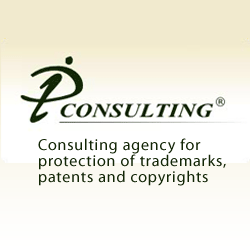 Up to 80% of the results of the intellectual activity presented at the Salon are being implemented into the industry. It shows the high outcome and effectiveness of Salon “Archimedes” work. Participants of Salon are becoming full members of the international inventors’ community and getting new horizons opened for fulfilment of their creativity potential. Good luck! Looking forward to see you at our Salon!